Dinosaurs are awesome. There’s no question about it. 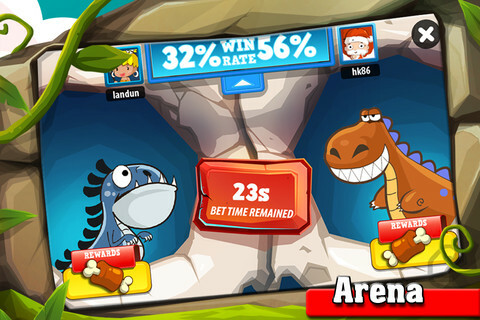 So it’s a no-brainer that the dinosaur-pet iPhone gameHungryAge, developed by Jundao Tech, would be totally awesome simply because it includes these awesome prehistoric creatures. But this is a Jundao Tech title, and that means there’s a lot more to love beyond the adorable graphics and dino-centric theme. 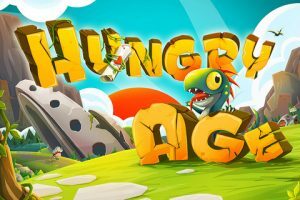 HungryAge looks great on the surface, but it’s one of those rare titles that gets even more enjoyable the deeper you get into the game. 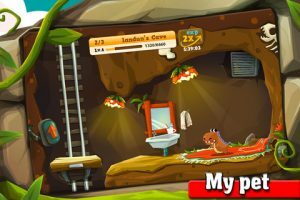 HungryAge opens with a conflict between you, a cute caveman, and a band of marauding dinosaurs that are trying to steal your meat. Once you kill them with your rock-throwing skills, you’re rewarded with a dinosaur egg of your very own that you can hatch and raise. You take the egg back to your home, which is divided into two levels. 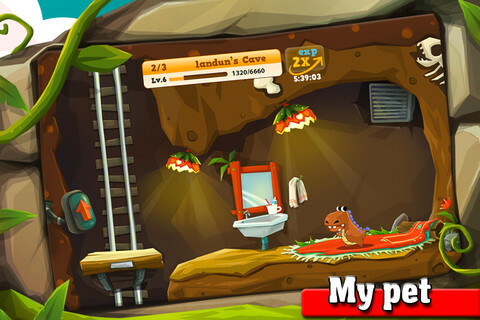 There’s a corral for dinosaur training, as well as an underground cave where you can feed and care for your baby dino. The genre-blending works well, and virtually ensures that you’ll never get bored while playing HungryAge. 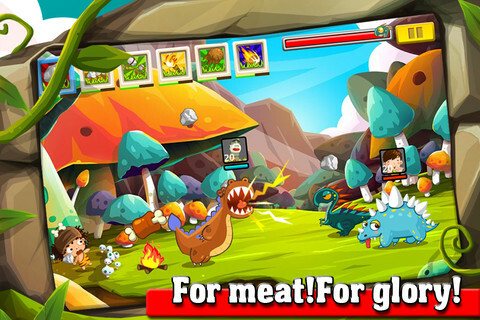 In addition to virtual pet staples like breeding and battling with the cute little dinosaurs, you can also train them to steal meat for you, or hunt for treasure. In short, HungryAge for iPhone offers up a wonderfully expansive world populated with tons of cute dinosaurs, plenty of adventure, fun graphics, and cute music. If you have even a passing interest in monster ranching titles, grab HungryAge while it’s still free. 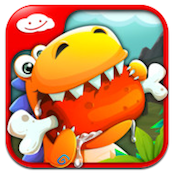 HungryAge is compatible with iPhone 3GS, iPhone 4, iPhone 4S, iPod touch (3rd generation), iPod touch (4th generation) and iPad. Requires iOS 4.0 or later.